This large regeneration scheme is comprised of two joined maritime museums, commercial, retail and residential buildings, a public events square and marina. 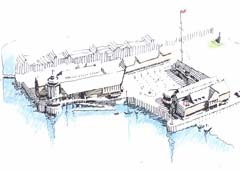 The complex has been carefully planned to make a major contribution to the sequence of public spaces along the waterfront and to create a pedestrian route linking the old town centre with the lifeboat station and Falmouth docks. It is a focus for waterfront activities of all kinds in Falmouth, and the square is often covered with a tent for Falmouth\'s Regatta Week, or for concerts. Long & Kentish designed the whole complex up to scheme design, with the design of the Museum and Events Square taken to completion. 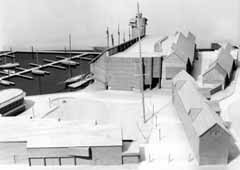 The Museum was built under a set of three traditional lump sum contracts, and the other buildings as a phased series of design build contracts. 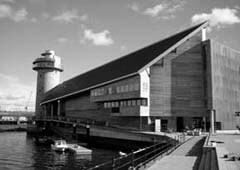 The Maritime Museum is designed to be an integral part of the Falmouth waterfront. Wind, water and tides have been incorporated to feature as much in the visitors\' experience as the boats and local maritime history. 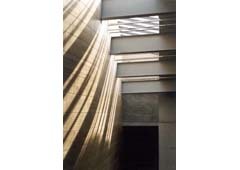 The developing experience of the museum revolves around the use of daylight in the building. The introductory gallery is a \'black box\' audiovisual experience. The vast triple-height central gallery (with its fleet of hanging boats) is seen against a curved wall lit from above with north light. The waterfront gallery is filled with dappled southern light reflected from trays of water on the roof. 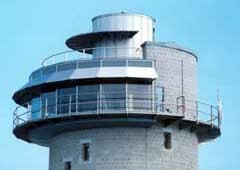 There is an underwater tidal gallery and a tower-top room. 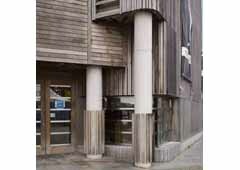 Much of the building is naturally ventilated, and in good weather can be opened up to the harbour. Public circulation through the main galleries is via ramps so that there is no difference between the experience of disabled and ablebodied visitors. 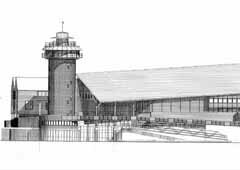 There is also a public walkway along the waterfront which gives the non-paying public enticing views into parts of the museum, the museum\'s tidal pool and its boat pontoon. 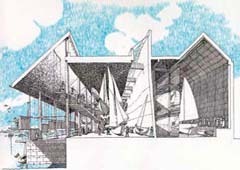 The building includes a cafeteria, lecture theatre, temporary exhibition gallery, school room, a library, offices, storerooms, and a boat-building workshop. 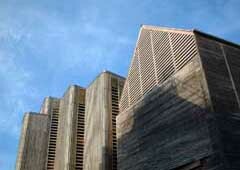 The construction is related to its waterfront environment, using longlife natural materials: slate, granite and green oak. 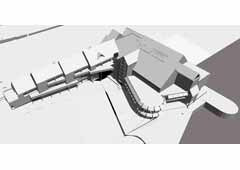 It includes new sea wall and a tidal gallery constructed behind a coffer dam. 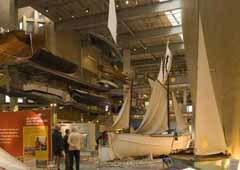 The National Maritime Museum Cornwall was awarded one of the Heritage Lottery Fund\'s largest grants to an entirely new building. In its 1999 annual report, the Royal Fine Art Commission called it in terms of architectural quality...one of the best seen by the Commission. 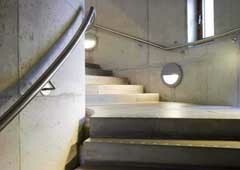 It has won many awards including those of the RIBA and the Civic Trust.